The word liminal originates from the Latin word limen, meaning threshold – any point or place of entering or beginning. Liminal Grooming Lounge is a place of transition, growth, and evolution. Liminal is in between what used to be and what is to become, it is where transformation takes place. At Liminal Grooming Lounge you become your best present self and can trust in our process, our products, and our individuals. 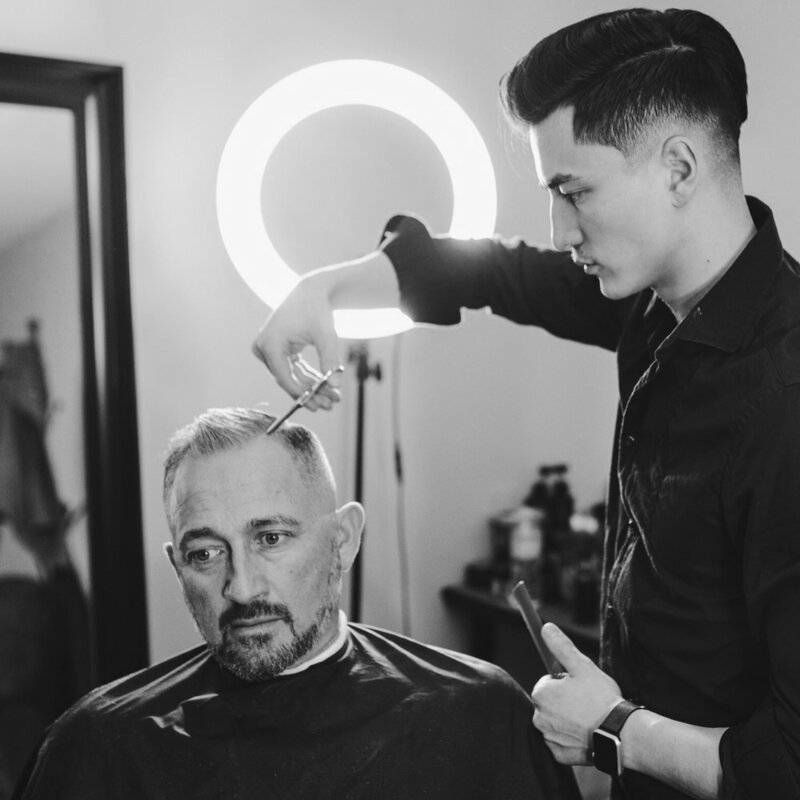 We aim to raise the standards in the men’s hair industry by constantly evolving in our craft through education and investing in the highest quality products, tools, and sanitation practices. We are dedicated, passionate barbers who make a positive impact on each and every client we service. With 108/108 5-Star Reviews on Owner Evan Ng’s personal barbering website www.best-ev.club, you can be sure to know you are in good hands. Liminal aims to reinvent your modern barbering experience. Sit back, trust, transform, and BE LIMINAL.